The exhibition “Programmed: Rules, Codes, and Choreographies in Art, !965-2018” currently on display at the Whitney Museum offers a broad sample of Art created using rules and computation. Including both early examples as well as more contemporary work this show highlights the progression of algorithmic art. Sol Lewitt was a pioneer of this type of conceptually generated work. Lewitt’s wall drawing “4th wall 24 lines from the center, 12 lines from the midpoint of each of the sides, 12 lines from each corner” from “Wall Drawing #289”, 1976 is featured prominently in the first gallery. On display in the same room are Casey Reas’ video installations “(Software) Structure #003 A” and “(Software) Structure #003 B”. Here is a still shot. 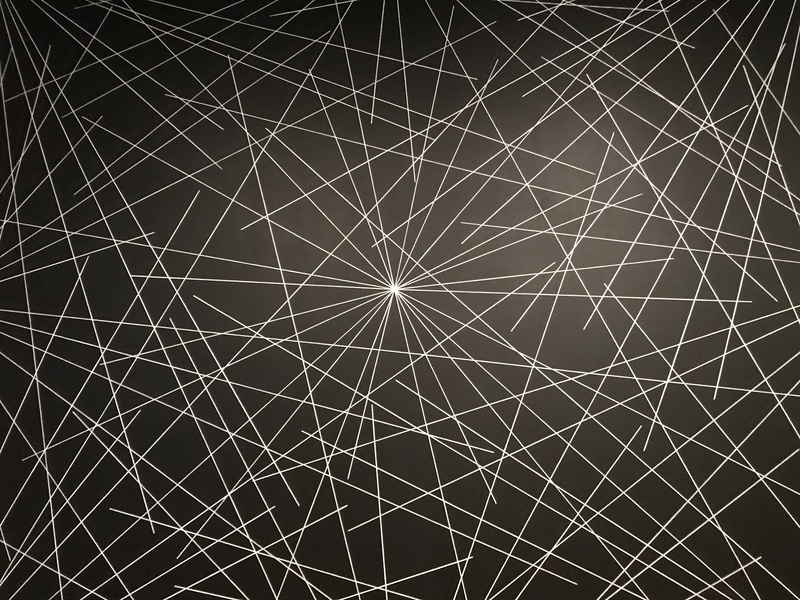 These videos are in direct response to the work of Sol Lewitt. 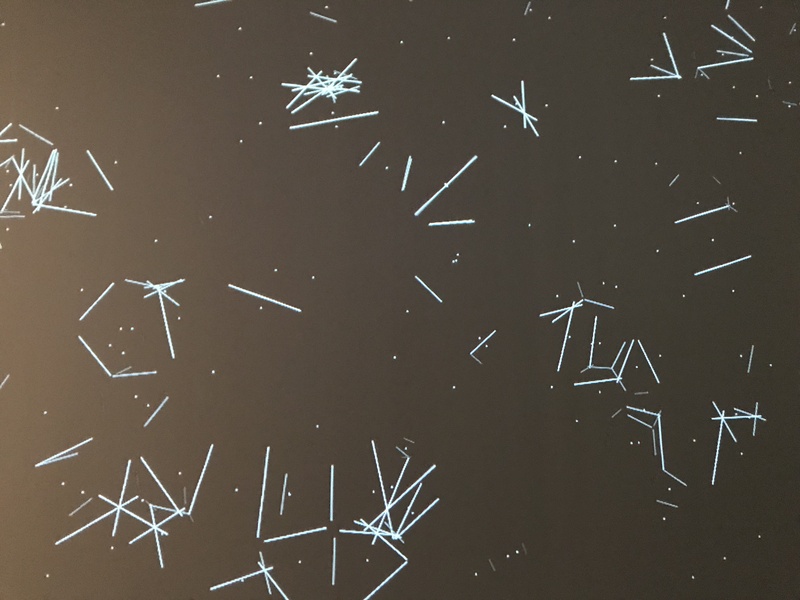 Like Lewitt’s wall drawings Reas begins the process for each video with a verbal description but then generates the images using computer programming. 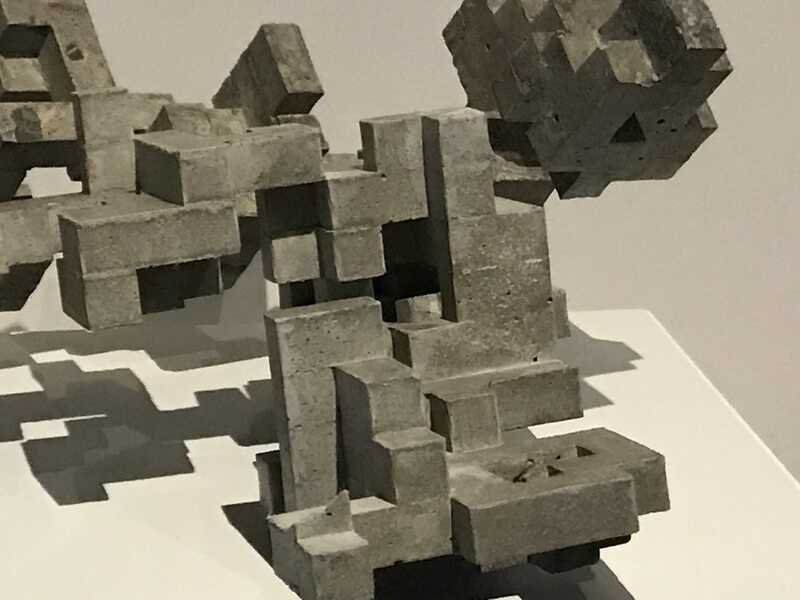 Cheyney Thompson uses the Drunken Walk Algorithm to facilitate the building of concrete sculptures. 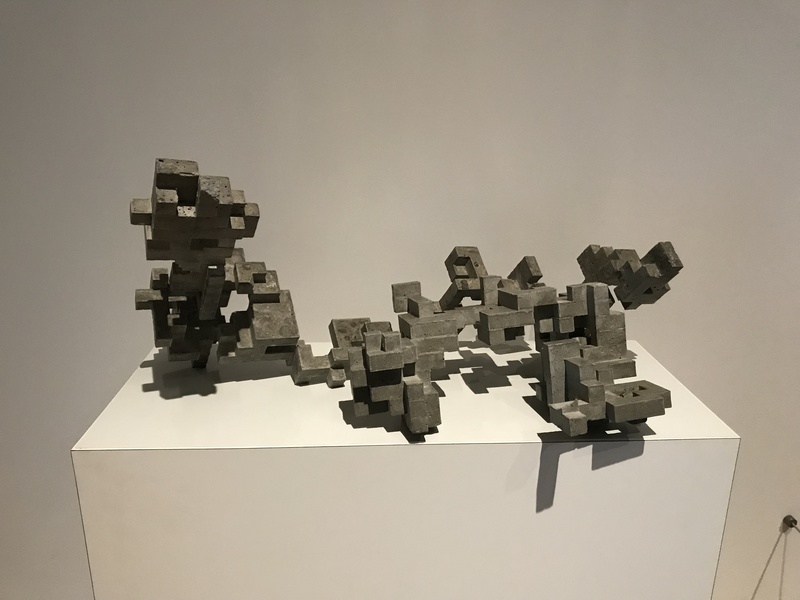 “Broken Volumes (10L)” 2013 was constructed using one-inch concrete cubes, the placement of each successive cube is decided by the Drunken or Random Walk Algorithm. Each sculpture in the series is comprised of 10 Liters of cubes. The random nature of the decision making process for each permutation does not take into account the structural integrity of the sculpture. Some of the pieces break because sections become too heavy. The contrast between the rigid nature of rule based processes and the physical limits of the materials offers insight into the dichotomies of technology and physicality.